SAN FRANCISCO—At its public meeting on July 29, the Judicial Council will consider amending the rules of court to retire use of the name Administrative Office of the Courts (AOC) for its staff. 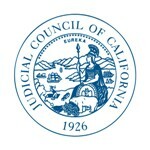 Chairs of the council’s five internal committees developed the recommendations at the direction of the Chief Justice, to clarify the relation between the council and the staff that supports it by carrying out its policies and directives in service to the council, its advisory bodies, the courts, and the public. The recommendations also include direction to the Administrative Director of the Courts to implement the name change. Termination of the minimum operating and emergency fund balance policy, first suspended in 2012. A recommendation from the council’s Court Facilities Advisory Committee for legislation needed to use the $40 million one-time cash available in the current fiscal year for courthouse capital projects. Fiscal year allocation recommendations from the council’s Trial Court Facility Modification Advisory Committee for statewide trial court facilities modifications and planning. The council will hold its public business meeting from 10:30 a.m. to 2:55 p.m. on Tuesday, July 29, in the Judicial Council Conference Center, Hiram Johnson State Office Building, Third Floor, Ronald M. George State Office Complex, 455 Golden Gate Avenue in San Francisco. A live audiocast of the meeting will be on the California Courts website, and the agenda and council reports are posted online.